I've been pretty sick the past week and I've gotten a little behind on my blogging. It's not your normal sick, it's a tired sick. I've been exhausted the past three weeks or so and this week has just gotten worse. I actually went to the doctor and this cruddy feeling has forced me to take some time off - which was very much needed. I'm finally starting to feel a little better, and it's been killing me not writing, so even though I'm still dealing with whatever it is I have, I just have to post something. I've decided to post about garlic. What better thing to write about when you're sick than something that has so many health benefits! Garlic has been known to assist in the management of blood pressure and cholesterol levels as well as act as a natural antioxidant. I'm a big fan so it may very well be contributing to my excellent blood pressure and cholesterol. There are so many ways to prepare garlic and so many things to add it to that I bet you're eating more than you think you are. It's so good, you just can't help it! Because raw garlic has more health benefits than cooked garlic (when consumed in moderation), I try to sneak it in whenever possible. One of those ways is in a garlic dressing. If you like garlic dressings, I bet you've had some at least once or twice at a local restaurant. I've been trying and trying to perfect my little copycat recipe and I think I've actually managed to make one that tastes even better than the restaurant versions. And it might even be healthier than theirs! 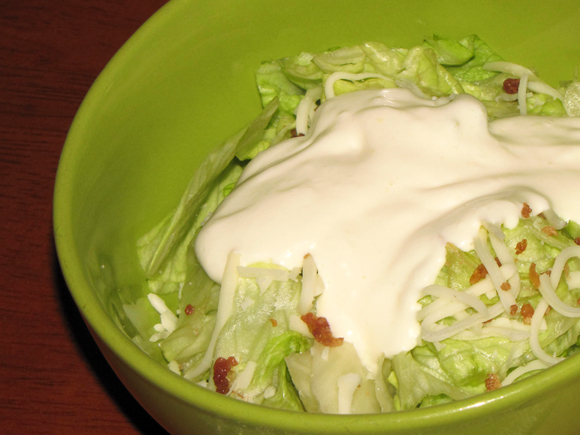 The taste of mayo can get a little overwhelming in creamy dressings so I cut half of it out by adding some fat-free sour cream. It adds a nice, fresh taste and a subtle tangy flavor while eliminating a lot of the fat and calories that can bog down this type of dressing. The beauty of this one in particular is that you can put in as much garlic as you'd like. 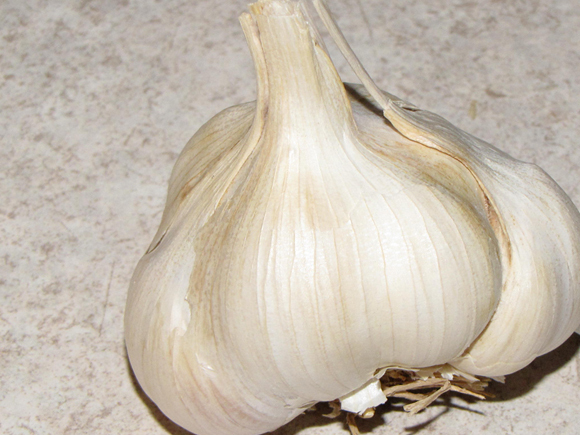 I prefer a potent flavor because I love the taste of garlic, but the amount can be adjusted to your preferred taste. If you like garlic dressing, you should definitely give this a try. It's really easy to make and will add a nice variation to your salad routine. You can also use this as a dip by eliminating the milk used to thin the dressing to pourable consistency. 1. Place all ingredients except milk into food processor. 2. Mix until garlic is minced and everything is blended together. 3. Add milk, a little at a time, until desired consistency is reached.